Khashoggi, 59, has not been seen since Tuesday when he visited the Saudi consulate in Istanbul to pick up documents related to his divorce. He planned to get married again to a Turkish woman. Khashoggi has lived in the United States for a year because he feared his criticism of Saudi Crown Prince Mohammed bin Salman could lead to his arrest. He wrote at the Washington Post in September 2017 that at least seven of his friends had joined him in self-imposed exile. Another friend visited the United States as part of an official delegation from the Kingdom and was promptly arrested. “That is how breathtakingly fast you can fall out of favor with Saudi Arabia. It is all quite shocking. But this has not been business as usual in my country,” Khashoggi wrote. When Khashoggi and his fiancee Hatice arrived at the Saudi consulate in Istanbul on Tuesday afternoon, he gave her his cell phone, entered the building, and never came back out. It is not uncommon for diplomatic facilities to require visitors to leave their cell phones outside. After waiting outside for twelve hours, Hatice had little choice but to conclude something had gone very wrong. The ensuing days have seen a growing rift between the Turkish government, which believes Khashoggi is being held inside the consulate, and Saudi authorities who claim he swiftly obtained the paperwork he needed on Tuesday afternoon and departed. The Turkish police say they have security camera video that proves Khashoggi did not leave the consulate unless he was spirited out in one of the several Saudi cars that have come and gone since Tuesday. The Turkish Foreign Ministry summoned the Saudi ambassador on Wednesday and demanded a full explanation for Khashoggi’s disappearance. The ambassador simply repeated that he is not inside the consulate. Saudi media reports have echoed the claim that Khashoggi vanished after leaving the facility. The Associated Press noted on Thursday that Turkey and Saudi Arabia are already at odds over the Saudi boycott of Qatar and Turkey’s friendly relations with Saudi Arabia’s nemesis Iran. 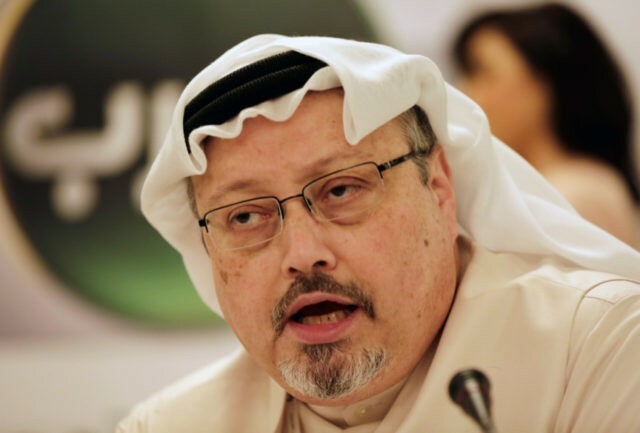 Washington Post writers and editors have expressed concern for contributor Khashoggi’s safety, as have international press freedom organizations such as the International Press Institute and the Committee to Protect Journalists. The IPI has written to the king of Saudi Arabia asking for the journalist’s release. “We are monitoring the situation closely, trying to gather more information. It would be unfair and outrageous if he has been detained for his work as a journalist and commentator,” Washington Post international opinions editor Eli Lopez wrote on Thursday. “Jamal is a great writer and insightful political observer, deeply committed to the open exchange of ideas; we are honored to have his point of view be part of our Global Opinions. We hope that he is safe and that we can hear from him soon,” Lopez added. Middle East analyst Bill Law, a longtime personal friend of Khashoggi, said on Thursday he was worried for the missing man’s safety. “He is a good man and a fine journalist. His is a voice of reasoned criticism and wise comment that the Saudi crown prince should listen to. The thought that he might be forcibly repatriated back to the kingdom to face charges that could lead to a long prison sentence, or worse, fills me with dread,” Law wrote at al-Jazeera, which is based in Qatar.